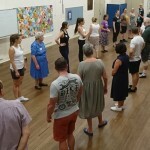 Congratulations to our Beginners who finished eight weeks of dancing last night. We celebrated by having a party night with great music by Iain Mckenzie. 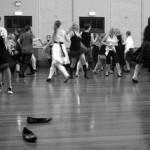 March Chaotic Ceilidh sold out – want to know why? Our next beginners course begins on Monday 12 August. 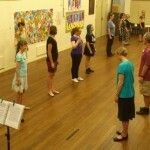 You can find all the details at our Beginners page. 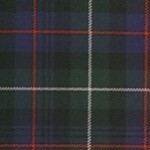 You don’t need a partner, previous dance experience or a kilt. Bring your enthusiasm and we’ll do the rest. Sign up now! 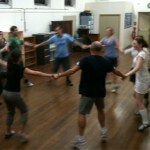 Chaotic Ceilidh sold out – want to know why?